We’re proud to share a new live video of a new song from Angelo De Augustine recorded at Reservoir Studios with Sufjan Stevens. Angelo’s new album, Tomb, is out today, January 11th, and on CD/LP and in record stores on Friday January 25th. Listen via your favorite digital service here. 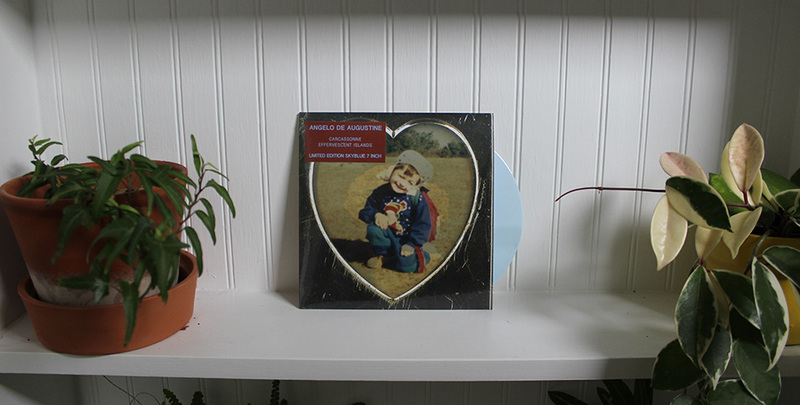 “You Needed Love I Needed You” is the fifth track released ahead of Tomb, following lead single “Time” and additional songs “Tomb,” “Kaitlin,” and “Somewhere Far Away From Home.” A video of “Time,” also performed live with Sufjan Stevens Reservoir Studios (where the album was recorded), can be seen here. Angelo will overseas for a tour of the UK and Europe next month, but first will perform in the Los Angeles-area at Marty’s on Newport in Tustin, CA on February 13th. Additional 2019 live dates in support of Tomb will be announced soon. 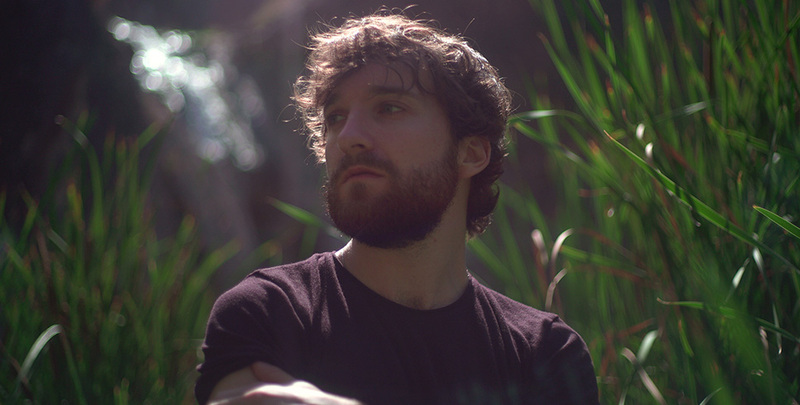 Angelo De Augustine today shared a video for the title track of his new album, Tomb, along with a video directed by Jess Collins, featuring shots of Angelo in the hills of California. The video follows The FADER premiere of an intimate live video of lead single “Time,” featuring Sufjan Stevens on grand piano and filmed in Manhattan’s Reservoir Studios (where Tomb was also recorded), released alongside the album version. Tomb, the album, arrives in stores and on streaming platforms in January. We have limited edition red and yellow vinyl available for preorder here. Proceeds will benefit Brooklyn non-profit performance venue JACK (of which Alec Duffy is founder & artistic director) in its mission to fuel experimentation in art and activism and help it serve as a launch pad for the next generation of artists. Pre-save on your favorite streaming platform here, or pre-order the limited edition 7-inch vinyl here. In 2007, Alec Duffy won Sufjan Stevens’ Xmas Song Xchange Contest with his song, “Every Day is Christmas” and exchanged the rights to the song for Stevens’ “The Lonely Man of Winter,” (a song that Stevens wrote and recorded specifically in response to Duffy’s song). Using the opportunity to recreate a time before the internet, Duffy and his friend, composer Dave Malloy decided to create an experience in listening to the song. They held listening sessions, which started at their homes and soon expanded across the country, as well as a few sessions in Europe. By 2012, Duffy had founded JACK, and soon found himself without time to continue the sessions. He approached Asthmatic Kitty to see if they would release the song as a way to raise money for JACK. AKR is proud to announce Angelo De Augustine newest album, Tomb — his first recorded in a studio and produced by musician Thomas Bartlett (aka Doveman; credits include work on albums for St. Vincent, Sufjan Stevens, Glen Hansard, and Rhye). We will be releasing the album on January 18, 2019. Read more about the story behind this record here. We’ve released two visual versions of “Time,” the first single from the record. The FADER today premiered an intimate live video of lead single “Time” featuring Sufjan Stevens playing grand piano and filmed in Manhattan’s Reservoir Studios, where Tomb was also recorded. 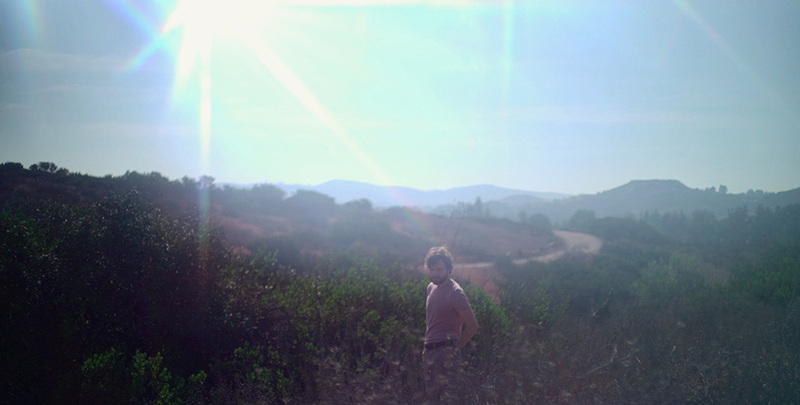 The second visual, directed by Jess Calleiro, features the studio version of the album. They’re also over at FADER. A limited edition, first-pressing in two variants, red and yellow, is available for preorder here. 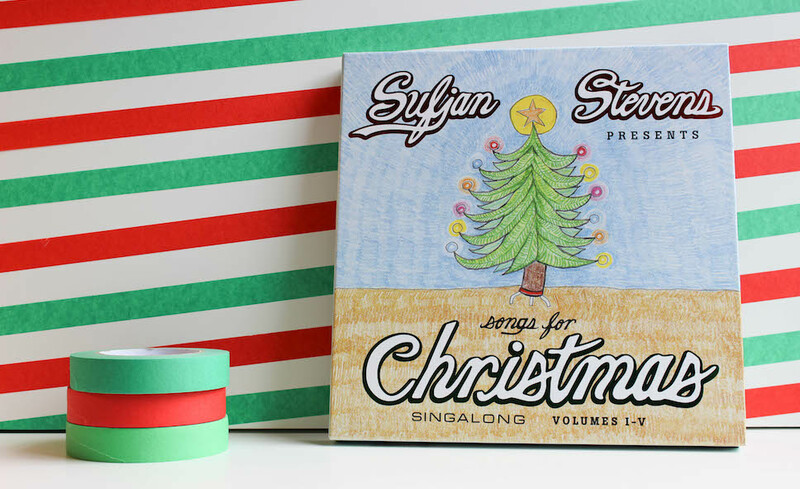 From 2001 through 2010, Sufjan Stevens recorded an annual Christmas album that he gifted to friends and family. 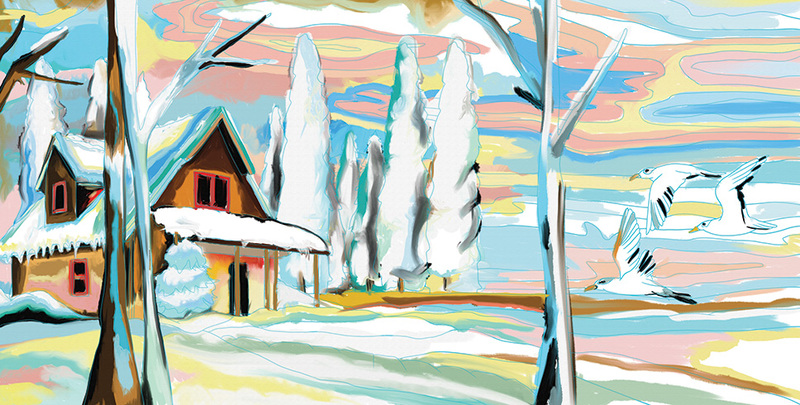 The recording process took place every December for one week, usually at home, provoking collaborations with friends, roommates, and musical peers. In 2006, Stevens’ label, Asthmatic Kitty Records, released Songs for Christmas, a CD boxset compiling the first five of these albums, Volumes I-V. Later in 2012, the label released Silver & Gold, a CD and vinyl boxset compiling of Volumes VI-X. You can preorder the vinyl boxset at our store, here, or at your favorite local or online record store. Asthmatic Kitty Records has released Sufjan Stevens’ 2006 Avalanche on vinyl on August 31st, 2018. 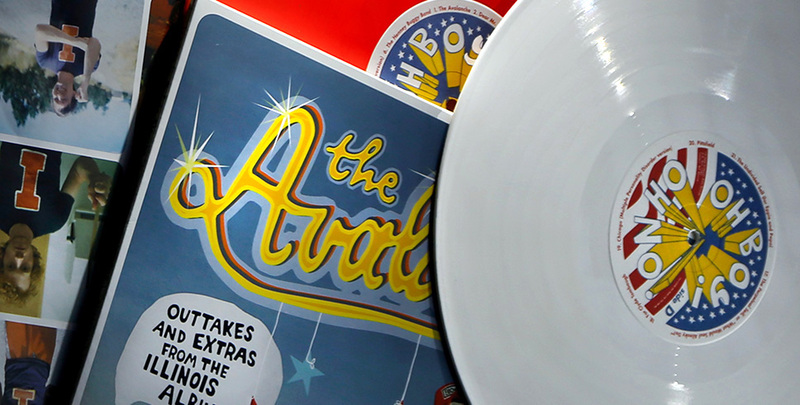 The 2xLP is available in limited edition colors and through AKR’s store, or through your favorite record record store. “Carcassonne” is out worldwide on Friday, June 15th.The sky-blue 7”, limited to 500, will be available on June 22nd through our store, or at local record stores. Pre-order now here. 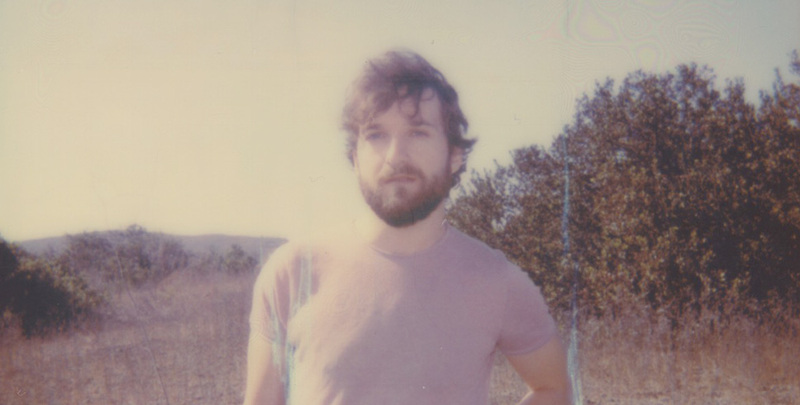 De Augustine also announced a co-headlining summer tour with Many Rooms, beginning July 9th in San Diego and including stops at LA’s Lodge Room and Brooklyn’s Union Pool before wrapping on August 18th in Minneapolis. Tickets are on-sale now; see below for a full itinerary. Angelo is currently finishing a new album produced by Thomas Bartlett (Doveman) at NYC’s Reservoir Studios. Sufjan will perform “Mystery of Love” at the Oscar Academy Awards on Sunday, March 4th. Read more here. “Mystery of Love” is nominated for Best Original Song at this year’s Academy Awards, alongside “Mighty River” from Mudbound, “Remember Me” from Coco, “Stand Up For Something” from Marshall, and “This Is Me” from The Greatest Showman. 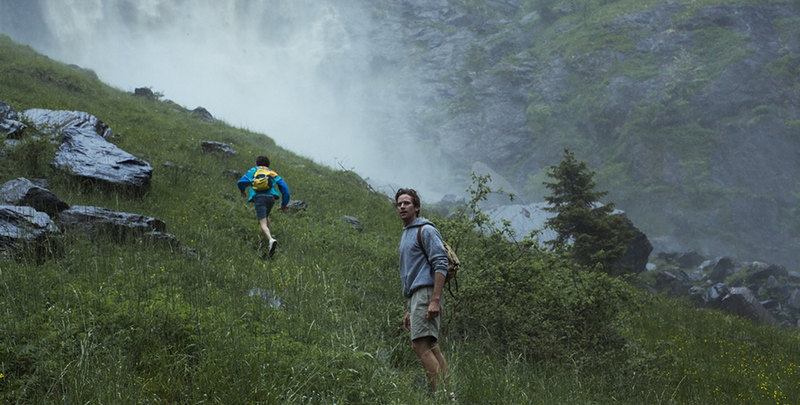 Sufjan wrote “Mystery of Love,” as well as “Visions of Gideon,” and re-recorded “Futile Devices,” for the film Call Me By Your Name, directed by Luca Guadagnino and based on a book by André Aciman. Call Me By Your Name is also nominated for Best Picture, and Adapted Screenplay. Actor Timothée Chalamet, who plays Elio in the film, is nominated for Actor in a Leading Role. Listen to the Call Me By Your Name soundtrack on Spotify, Apple Music, Google Play, or buy it on CD/LP here. 10,000 limited edition, translucent 10 inch vinyl with “Mystery of Love,” “Visions of Gideon,” and “Futile Devices” will be available through Music on Vinyl, at your favorite local record store, on Record Store Day. Details here.